Illiteracy is a big problem in this country and definitely NOT a laughing matter…. until this audio surfaced. I mean, listen to it and see if you can get through the entire 3 minutes without laughing. I dare you. Now, Floyd Mayweather Jr lives a life of luxury that most of us will never know of, thanks to his boxing success. He has fleets of expensive cars, multiple mansions, private jet, and a line of people just waiting to serve him. But there are some things money can’t buy. The debate on whether or not Mayweather could read started when rapper 50 Cent appeared in a video in which he was about to take part in the ALS Ice Bucket Challenge. 50 Cent did not pour ice water on himself, but instead offered to donate $750,000 to charity if Mayweather could prove he could read. Mayweather did not make a public statement defending himself about 50 Cents allegations, but made a strong suggestion of what 50 Cent could do with the money. But with all this back-and-forth, henobody has ever been able to prove whether or not Floyd Mayweather Jr can read or not! We have the answer everyone has been waiting for. 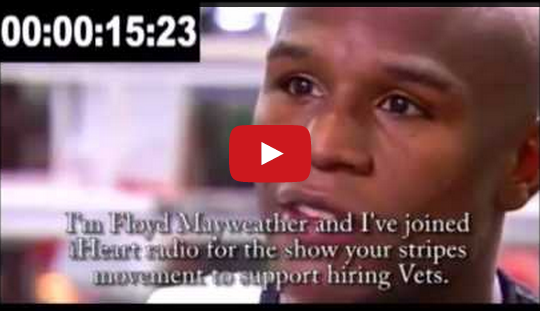 Listen to Mayweather read in the video below. I mean he is reading…. right?